In the history of major league baseball, one of the time-honored traditions all fans are familiar with, is the long walk to the mound to “go get” a pitcher. Sometimes a pitching coach darts from the dugout to settle down a player but there is no question that player will not be pulled. Other times a manager takes a brisk walk to the hill to discuss infield assignments and check on his thrower, but it is likely that no pitching change will be made. And then there is the managerial saunter that will undoubtedly end with the removal of the current pitcher. This is not new news. But a Joe Maddon trip to the hill to get ace lefty Jon Lester, posing as a reliever in Game 7 of the World Series two years ago, tells one all there is to know about what it means to be a “players manager”. Lester was on the mound giving it all he had in the Cubs historic trek to the title when it became apparent that his time in the game had ended…at least to Maddon it had. It wasn’t the timing of the decision that makes him special nor was it the physical act of putting one foot in front of the other that sets him apart from many other managers, it was a simple, virtually unnoticed gesture that speaks volumes about the man even though there was not one word spoken regarding what a class maneuver it really was. As Maddon neared the mound to remove Lester from the game and turn it over to their rented reliever Aroldis Chapman, he did one thing that sets him apart from most every manager in the game today. Everyone in the park and the millions watching all over the world knew Maddon was going out to remove Lester from the game, including Lester. But he let Jon Lester give him the ball, he did not put his hand out to ask for it. Jon Lester is one of the dominant pitchers of his time, a Hall of Fame candidate and was brought to Chicago to pitch in huge baseball games, and Maddon knew you don’t walk out to Lester’s mound in Game 7 and demand the baseball. Something as simple as being given the ball by an ace as opposed to asking for the ball from an ace is what sets Maddon apart. He would have no issue going out and asking for the ball from the vast majority of his entire staff and likely most of every staff he has ever managed but he knows when it is time to wait to receive the ball from his ace and the entire Cubs roster knew that was exactly what he would do..
An act as simple as waiting to be given a baseball can be seen as the very definition of being a player’s manager. He knows what level of individual respect to give to each player while giving all players the same amount of managerial respect. 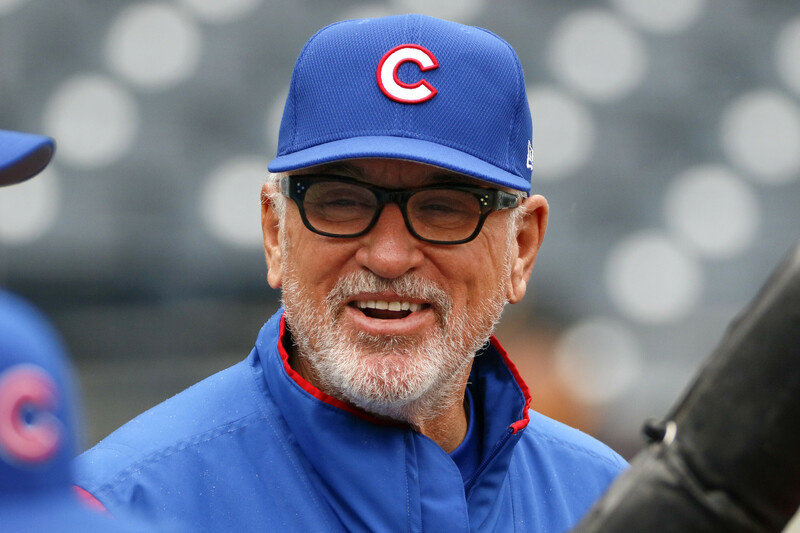 Joe Maddon typifies what it means to be a player’s manager and has proven beyond a shadow of a doubt that if the front office can bring him the horses to compete, he is well equipped to manage the coral.